One of the most popular electronic devices in the home today is a stereo. 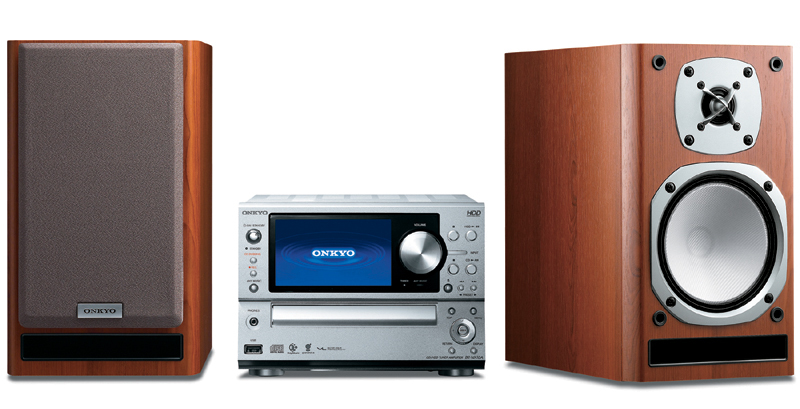 It may be a huge built-in stereo system, a smaller unit used to play cds, or any size in between. In most homes today stereos are simply a docking station for the iPod or other MP3 player which plays the stored music through stereo speakers to be shared with all. Even though there are lots of small, intricate electric components inside a stereo system, it is basically made up of three components: audio source, speakers and amplifiers. Each of these performs their job so that music is shared with the rest of the occupants. The audio source is usually an MP3 player or a CD player although it might also be a radio or other device. A preamplifier will read and decode the audio information it receives from the audio source and send it on to the amplifier. The amplifier then increases the power of the signal which is sent on to the speakers. The speakers will then convert the electrical audio signal to the proper sound which is sent out through the speakers for all to hear. In some stereos the amplifier and preamplifier are combined to make one device, in others they are two separate components. Some sort of sound recording is stored on either a digital or analog device. This recorded information in audio format will send the information using an electrical signal. This electrical signal is sent by way of an audio cable. When this audio information was recorded, it used a device that is basically the opposite of a stereo that plays music. It can be sent back to the stereo using either a digital or analog signal. The type of signal it uses will determine the type of cable that is used as well. Most individuals do not realize that the real brains of a stereo system are the preamplifier. It is not only the brains behind the operation; it is the primary control center as well. It will read the signal and break it down into the right channels. For example, for a 2-channel audio it will break it down into two channels – left and right. The preamplifier also increases the voltage of the signal just a little bit when it receives it from the audio source and then sends it on to the amplifier. The amplifier’s responsibility in a stereo system is to significantly add power to the signal. When the preamplifier sends the signal out it is still too weak to be able to drive the speakers by vibrating the coil so that any type of sound can be heard. The amplifier then will boost the power enough so that it will vibrate the coils in the speaker cones so that the sound can be released for all to enjoy. The basic traditional speakers use numerous drivers. Each one of the drivers has one stationary magnet, one electromagnetic coil and either a cone or a dome. When the amplifier sends the electric signal it will hit the speakers in an alternating current. This just means that the current is regularly switching directions. When an alternating current runs through a wire coil, it will create a magnetic field that is continuously reversing its polarity. When the polarity of a coil is reversed it will cause a constant shift between the two actions of a stationary magnet: attraction and repulsion. At the same time, the electric voice coil constantly oscillates due to the magnetic force. When it oscillates, it will then vibrate the cone or dome. When the cone or dome vibrates, it will also vibrate the molecules in the air which are actually the vessel that carries the sound from the stereo to your ears. The different drivers in the speakers are responsible for a specific frequency range. For instance, there is a tweeter for high frequencies, a woofer for low frequencies and a mid range driver for the mid frequencies. By using crossover circuitry the signal is broken down when it enters the speaker. Once the audio information is broken down, it will send each bit of information to the appropriate driver.